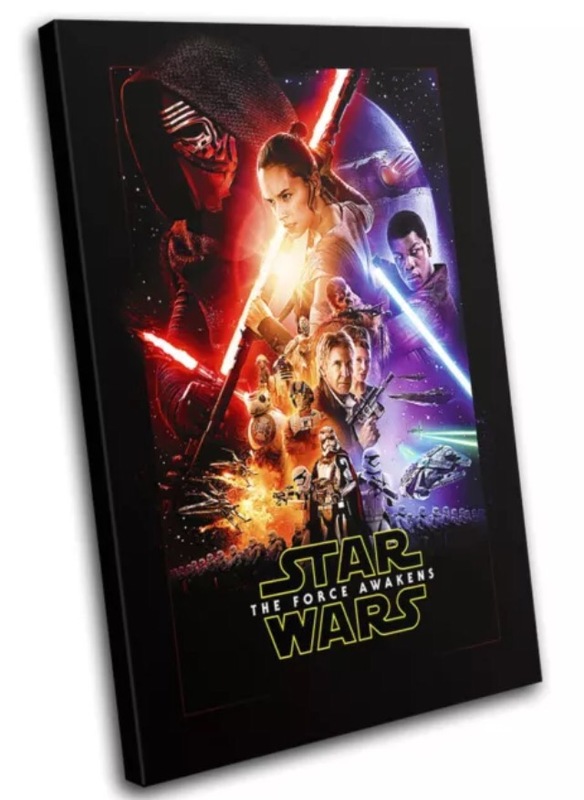 February 29 only comes around once every four years, and to celebrate we are giving away a Star Wars: The Force Awakens collectors edition framed movie poster that was given exclusively to attendees of the Disneyland Paris Star Wars Night party held in Discoveryland on 16 December 2016. Only 600 of these posters were produced and this is your chance to win number 429. 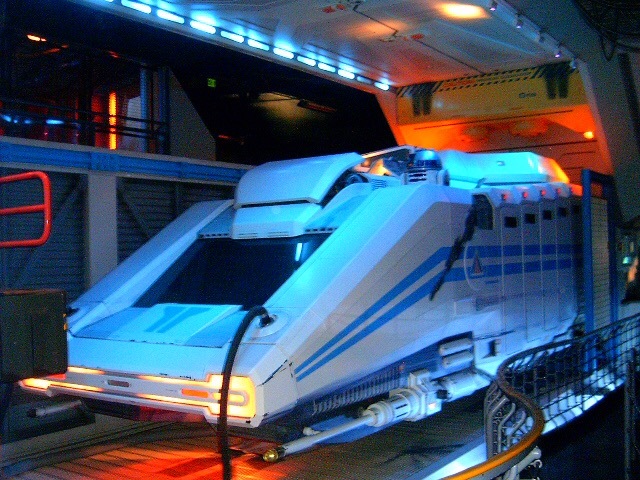 To win simply tell us who pilots the StarSpeeder 3000 in the Star Tours ride at Disneyland Paris. The competition closes at 12 noon (GMT) on Friday 4 March 2016 and winner will be chosen at random. Good luck and may be force be with you! BloombergBusiness has reported that Chinese theme park operator Wanda Group is planning to open a theme park in Gonesse, France – 16 kilometers northeast of Paris near Charles de Gaulle airport. The EuropaCity development, being built by property company Immochan, will include a theme park, shopping complex, a water park, snow park and hotel complex. Chinese billionaire Wang Jianlin’s Dalian Wanda Group Co. is planning to invest billions of euros in a retail and leisure development outside of Paris, according to two people familiar with the matter. An announcement may come as soon as Friday, according to the people, who asked not to be identified because the project is confidential. Wang said at the University of Oxford on Tuesday that Wanda would announce a “major deal” this week, though he didn’t provide details. The project, known as EuropaCity, will be built in Gonesse, a town 16 kilometers northeast of Paris, between Le Bourget and Charles de Gaulle airports, according to a website for the property. 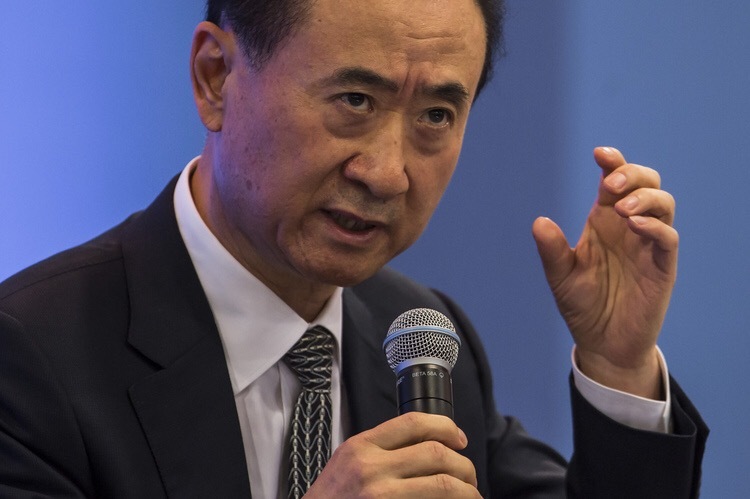 For Wanda, which runs theme parks across China, movie theater chains in the U.S. and a soccer club in Spain, the move represents a renewed overseas push, underscoring Wang’s increasingly global ambitions. The conglomerate agreed in January to buy “Godzilla”-producer Legendary Entertainment for $3.5 billion, paving the way for the tycoon to become the first Chinese person to control a Hollywood film company. Construction on EuropaCity is slated to begin in 2019, with the project opening in 2024, according to the website. The development, being built by property company Immochan, will include a theme park, shopping center, water and snow parks, sports fields, performance spaces and hotels, according to the site. Immochan is the development arm of Groupe Auchan, a family-owned supermarket operator. A spokesman for Immochan declined to comment. With theme parks, Wang has set his sights on beating Walt Disney Co. In January, he told executives that visitor arrivals and revenue at Wanda’s tourism projects in Wuxi and Guangzhou will beat those of Disneyland in Shanghai and Hong Kong, respectively, according to a transcript of the speech posted on the company’s website. The move may also add to challenges facing the Disneyland Paris amusement park, which needed a bailout in 2014 to upgrade its facilities and reverse a slump in attendance. Wang, who vies with Alibaba Group Holding Ltd.’s Jack Ma as China’s richest man, has had a busy year. Besides the Legendary deal, Wanda announced a $2.3 billion investment in three hospitals, the formation of a financial group and the signing a $10 billion development deal in India. In addition, Wanda has said it’s planning five major acquisitions in 2016 -three of them overseas. Separately, the group’s Wanda Cinema Line Co. theater-chain unit was halted from trading in Shenzhen on Wednesday pending the announcement of an acquisition and the Wall Street Journal reported that the group is seeking to raise $1.5 billion from domestic Chinese investors for its closely held film-making Wanda Pictures subsidiary. While Wang’s investments in Europe include the Club Atletico de Madrid soccer team and Swiss marketing firm Infront Sports & Media AG, Wanda’s culture-and-entertainment business has a relatively smaller presence in the region than in China. Wanda is seeking to acquisitions to bolster growth as the group braces for falling sales from its main property business. That’s prompted Wang, estimated by the Bloomberg Billionaires Index to have a fortune of $27.2 billion, to increasingly look toward expanding his entertainment business. Wang’s film, tourism and sports operations all fall under Wanda’s fast-growing Cultural Industry Group, which saw revenue climb 46 percent last year and is forecast to climb 30 percent in 2016. By comparison, Wanda Group estimates overall sales rose 19 percent in 2015 and will probably decline 12 percent this year because of the slump in its property business. The Euro Disney S.C.A. Shareholders Annual General Meeting was held on 17 February 2016 and fellow Shareholder Martin Walker was in audiance and has kindly sent us the following report. Hiding Poor Results With Optimism by Martin Walker. 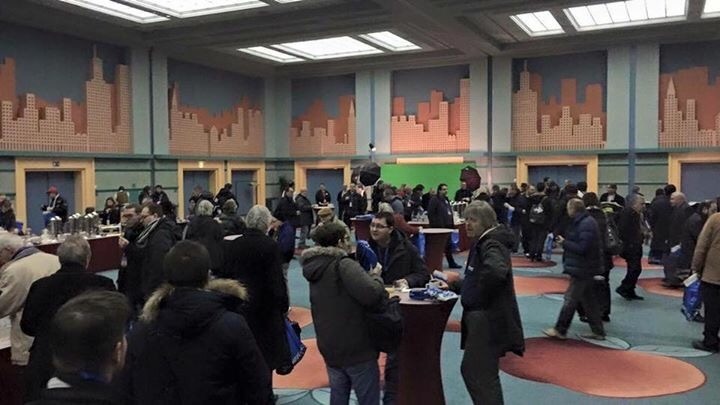 On Wednesday 17th February 2016, Euro Disney SCA held it’s Annual General Meeting. Shareholders from across the world converged on Disney’s Hotel New York at the Disneyland Paris resort, with many representatives from TWDC taking up the first two rows. Upon arriving at the resort, it was immediately clear that recent tragic events in nearby Paris had affected the visible security operations. Airport style metal detectors are now in place at the bag check area and additional security guards with hand metal detectors also check some guests as they arrive and enter through the line for those without bags. 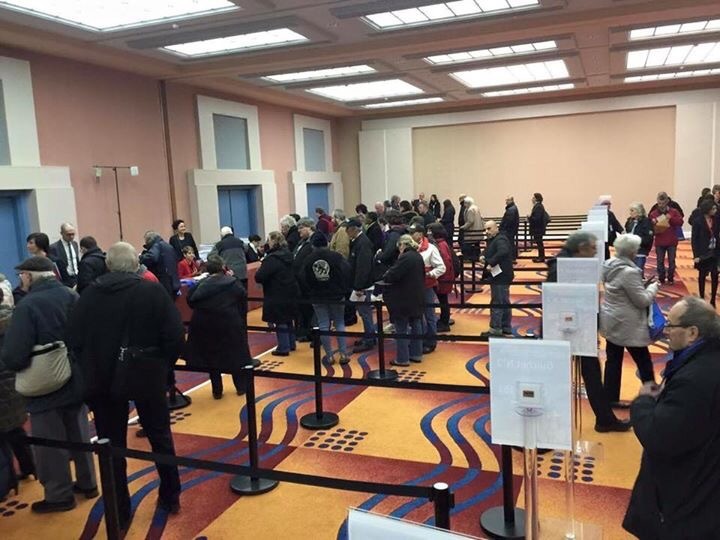 Upon entering the Hotel New York, every guest was again searched by security guards with hand metal detectors, and shareholders directed towards the conference room where a additional temporary security point had been established for the meeting. This comprised of a bag scanner, more guards with hand metal detectors, a dog and his handler then finally another bank of temporary metal detectors. This security was noticeably more than the meeting last year which was held in the centre of Paris only a few days after the Charlie Hebdo attacks January. However with it once again being held on Disney property this year, the management will have had much more control this year over every detail and thus checkpoint. That said, the venue was secure and all Shareholders and guests were as safe as could be. The meeting began with Gilles Dobelle, Managing Vice President, General Council, welcoming the attendees and introducing the panel (sat from left to right): Virginie Calmels, Tom Wolber, Mark Stead and himself. A large 20 foot screen towered behind the panel showing a picture of the iconic Sleeping Beauty Castle. 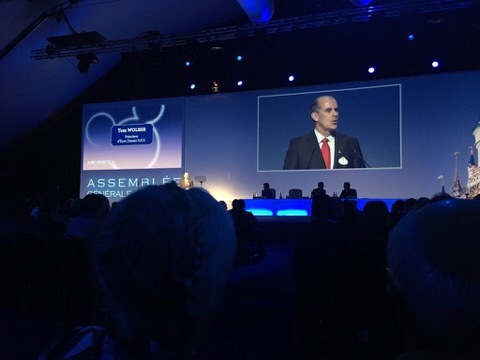 Tom Wolber, President of Euro Disney SAS, was the first to speak and, after apologising in advance for his accent, he this year spoke entirely in French with the exception of responding during the Question and Answer session at the end of the meeting, when he replied in English. Mr Wolber started by saying; “I have been with you a little more than a year…It has been a totally amazing experience…”, before highlighting the 2015 financial year’s results. 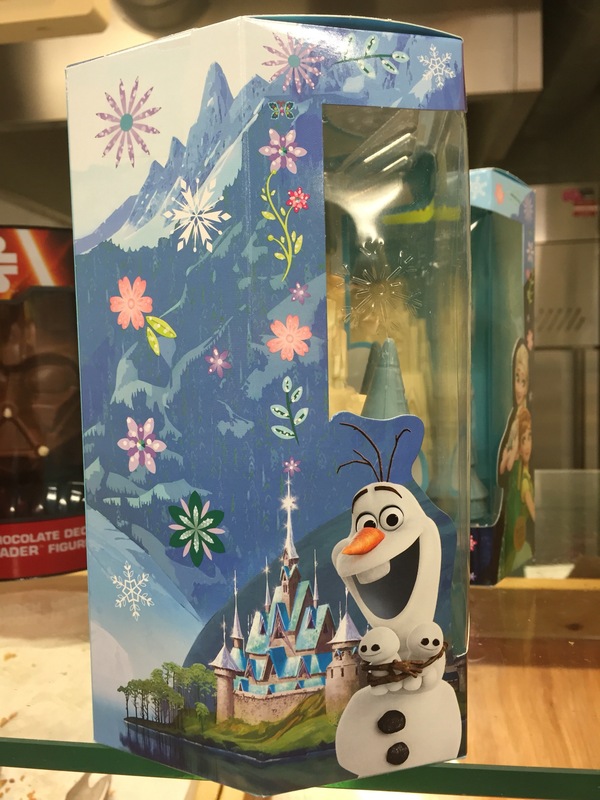 This included 600,000 more visitors to the parks on the previous year, a 4% increase in hotel occupancy on 2014, over 1 million people watching the Frozen Sing Along show in the Chaparral Theatre, the fact that the recapitalisation had been; “… a great success.” and then showing the Shareholders a video looking back at the past year. After another short video was shown to the room about the innovative offerings shared with guests in the last year. After which Tom Wolber stated that the strategy of investing in guest experience is delivering results. He said that it is the right one and that they will remain vigilant on their costs. It was then mentioned that the attacks on Paris in November meant that the parks closed for 4 days which was in line with other tourist attractions throughout France. This clearly had a negative impact upon the financials, however they have managed to limit the impact with “very encouraging results” for the first quarter of 2016. Next Mark Stead, Chief Financial Officer, spoke briefly about the 2015 financial results, concentrating on the increase in hotel occupancy and an increase of Guest spend per head of €3.06 to €53.66 to a record high. He noted that the first quarter of 2016 has so far seen another increase of a further €2 per head. Again, it was mentioned by Mr Stead this time that the recapitalisation was successfully completed and that they are aware that the strategic decisions made are impacting the financials but that it will help long term and is delivering results. Tom Wolber then returned to the podium to talk about the refurbishment program and how this major initiate will help Disneyland Paris prepare for the 25th Anniversary in 2017. After this, a third and final video presentation was shown about he attractions that have had, are currently having or will soon receive a facelift. It was then that they acknowledged that competition within the theme park industry within Europe is increasing and stated that they as a company need to do everything they can to remain the leader. Next, Virginie Calmels, Chairman of the Supervisory Board, spoke very positively about her view on the long term performance of the parks. She said that the decision to reduce discounts and increase investments is helping to increase the average guest spending. It was noted that the board were very concerned that the financial position of the company had not improved over the past 12 months and that she was disappointed with an increase in operating expenses. It was recommended that the managers remain vigilant with operating costs and keep those to a minimum. This concluded the information from the panel and a Questions and Answers session was opened. 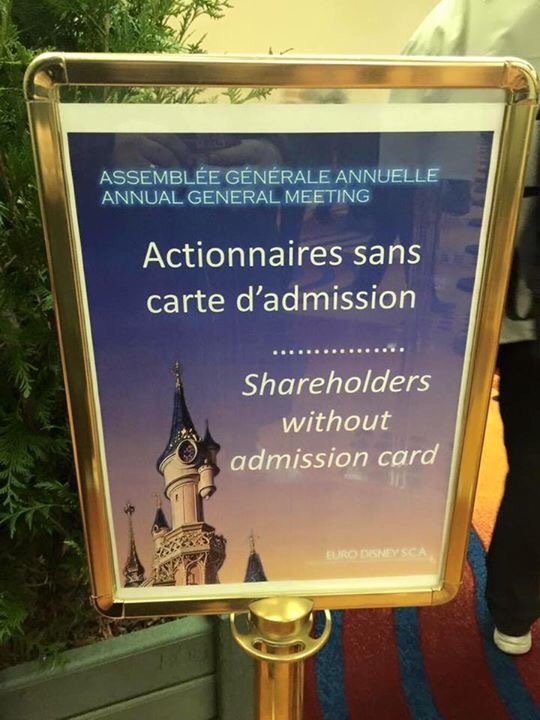 Over a dozen Shareholders took the opportunity to air their concerns about the running of the company and the consistent losses by Euro Disney SCA year upon year. Those who took the opportunity to ask questions often began with a long monologue as to why they think the company is (in their eyes) failing in their duty to look after the best interests of the Shareholders. 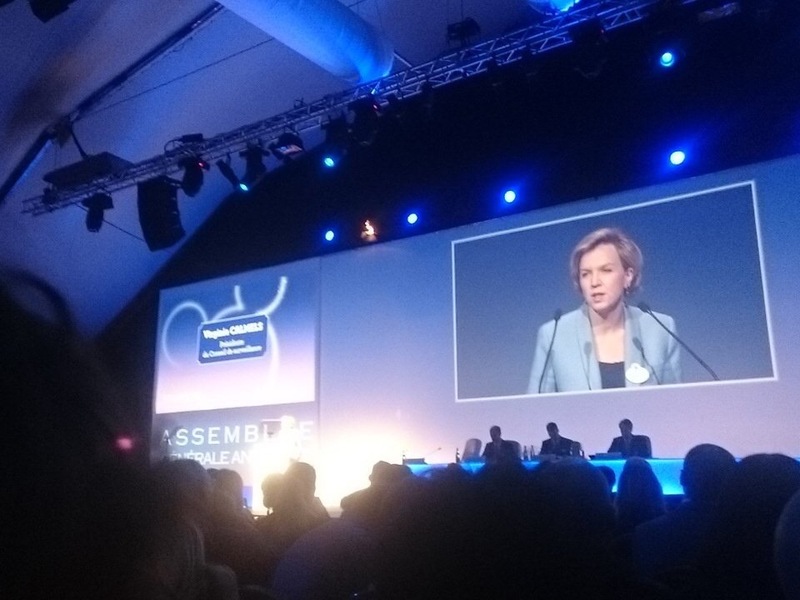 The Shareholders included representatives of CIMA (who are currently taking legal action against Euro Disney SCA) and APPAED who are a vocal opposition to many of the decisions made by the board. They asked for all small Shareholders to abstain when asked to vote for all of the resolutions later in the meeting. One Shareholder wanted to know why he has heard the same promises over the past 20 years and predicted that there would be the need for yet another recapitalisation in 2024. This was answered by Mark Stead who states that there have been many crises that the company and the world has suffered since opening in 1992. Each time they have looked at what they can do better for the resort. He then said that they are doing everything necessary to make the company profitable and that they want to take the company into long term growth. One Shareholder asked if Disneyland Paris would consider doing some kind of voucher that could be used in the shops and resort. 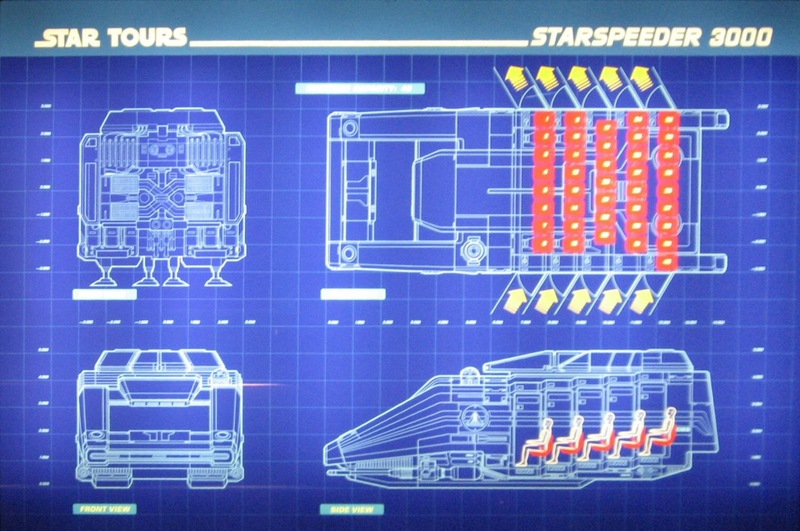 This we were told they are currently looking at and it will be implemented soon. A Shareholder asked a question in regards to the on going European Commission Price Fixing investigation, asking if they geoblock users of their websites sites. The reply was: They have cooperated fully with the investigation. No. They do not employ any form of geoblocking. They have a base price which is the same in every country. Where it differs is with promotions – offering different things at different times to different countries – to suit the needs. Such as school holidays etc. They said that if any guest finds a better offer on another country’s site then simply by asking the booking line, they will honour that price. This has always been the way and will continue to do so. One question that was noticeable by its absence was the fact that over €800,000 has been lost to credit card fraud in the past 12 months. Not one Shareholder questioned why this was allowed to happen as there should be security protocols in place to prevent such happenings. If they are not, why not? If they are, then what went wrong and what will be changed to stop a repeat loss in the future? The meeting finished with voting for resolutions, all of which were passed without issue. 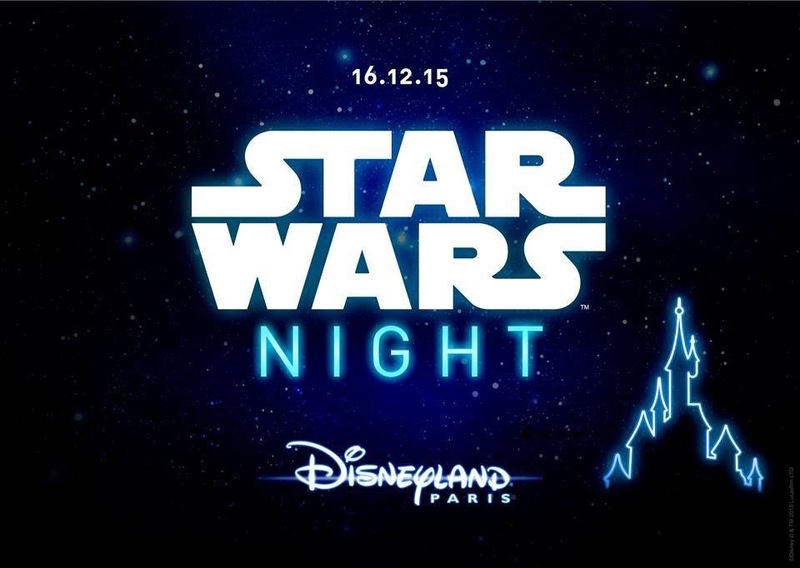 Full details on what was voted on can be found here: http://corporate.disneylandparis.com/CORP/EN/Neutral/Images/uk-2016-Resolution-Booklet.pdf. The AGM itself was presented by the panel in a very positive manner, constantly looking at the future and gleaning the positive from the results – despite a loss of €101.9 million. This has been the way for many years now and still the company is arguably in no better position than it was before. 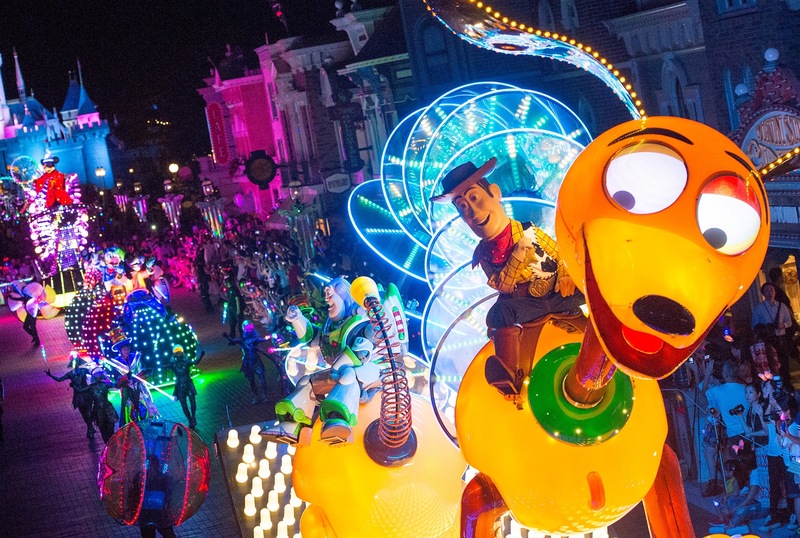 However they seem steadfast and united that the way to turn the results around is to invest more in the parks, hotels and Cast Members with Guest Experience and satisfaction being the key areas to concentrate on. Is this the right attitude for them to have, or are they simply hiding poor results with optimism? To see the 2015 figures in detail, you can access the full 2015 Reference Document in either English or French as shown below. Photo Credits: Martin Walker, DLRP Express and ED92. 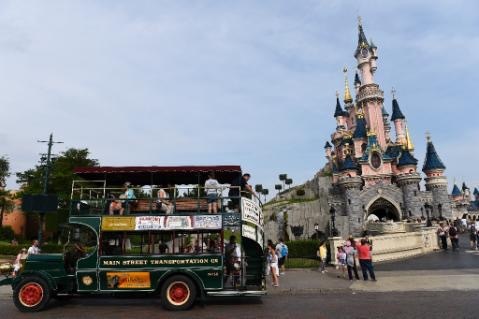 Paris (AFP) – A joint operation by Romania and French Police against pickpockets targeting visitors to Disneyland Paris and other French tourist sites has borne fruit, nabbing the ringleaders and exposing their methods. “Little by little, through observation and surveillance and thanks to critical assistance from Romania, we worked it out,” said Lieutenant-Colonel Francois Despres, deputy director of the OCDLI, a French agency charged with fighting “itinerant delinquency”. The OCDLI had a dozen investigators including some who speak Romanian assigned to the probe into a pickpocket network that Europol said “was organised on a family and clan kinship basis”. In around 1,000 thefts over a six-month period, the network amassed cash, expensive leather goods, cellphones and jewellery with an estimated total value of at least €1 million ($1.1 million), Despres said, noting that most of their victims refused to make statements to police. A sweep early on 9 February 2016 involving teams of sniffer dogs and a helicopter was conducted simultaneously in Paris and Craiova, in southern Romania. 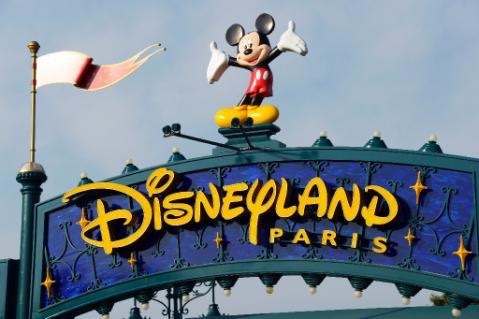 A Romanian couple was arrested in northeastern Paris, accused of dispatching youngsters to pick the pockets of tourists travelling to Disneyland Paris and at the entrance to the resort – 30 kilometres (18 miles) east of the French capital. They were among 17 people arrested, including six in Romania, and police seized nearly €25,000 in cash as well as gold, jewellery and luxury watches, Europol said in a statement. The underage pickpockets “produced criminal profits of up to €7,000 daily,” it added. Big brothers train kids seven or eight years old who are very talented. Six Romanians were taken into custody in Meaux, near Disneyland, including two minors, while three children aged 12 or 13 were placed in temporary foster homes. A 15-year-old girl had past convictions and was “well known” to police, according to prosecutor Dominique Laurens. Those arrested in Romania will be handed over to France “as soon as possible”, according to Alexandre Ionescu, the security attache at the Romanian embassy, who lamented his country’s image as “an exporter of criminals”. The probe began in March 2015 after local police noted a spike in pickpocketing by Romanians and ethnic Roma outside Disneyland Paris and on the RER train that links Paris to the amusement park, which attracted 14.8 million visitors in 2015. 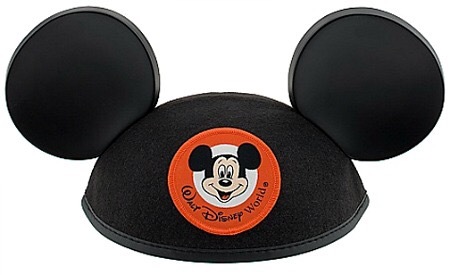 Police commissioner Jerome Georges described how the child pickpockets would often pose as tourists, wearing Mickey Mouse ears. They acted in groups of three or four, with one creating a distraction and the others doing the thieving and making off with the stolen goods. Fully aware of the laws, they would give false names, lie about their age and refuse to be fingerprinted or submit to bone scans that could determine their age, a source close to the probe said. The courts are required to treat them as juveniles under age 13 and place them in homes from which they often escape. Some are arrested more than a dozen times, said the source, clearly discouraged. 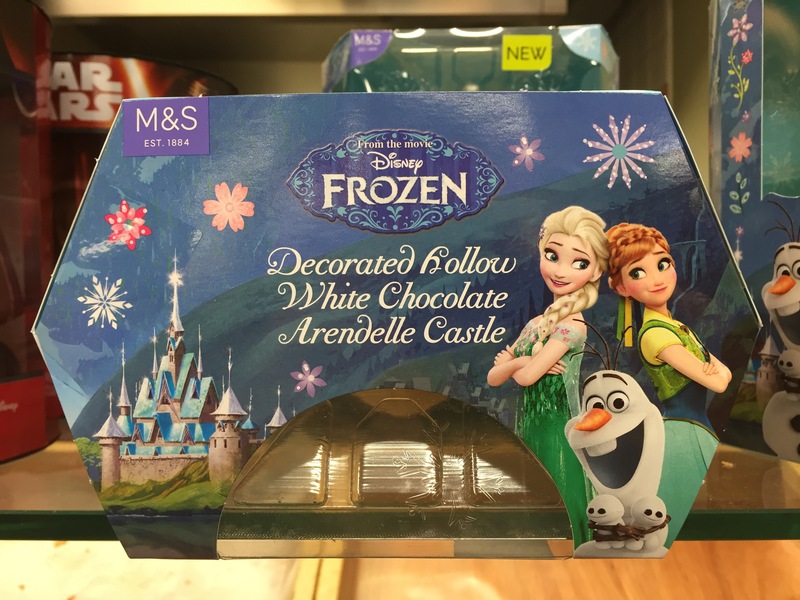 Arendelle Chocolate Castle Available In M&S. 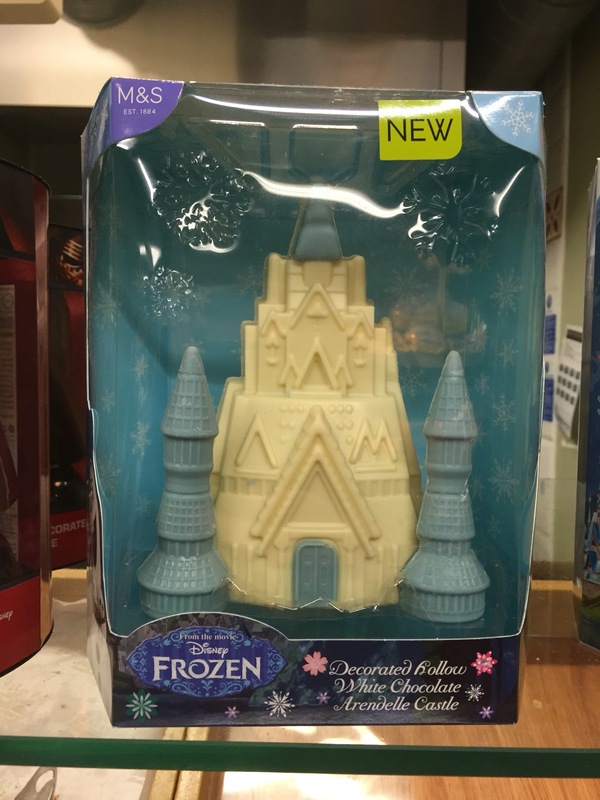 A Frozen themed Arendelle Chocolate Castle has been released by Marks and Spencer in time for Easter. 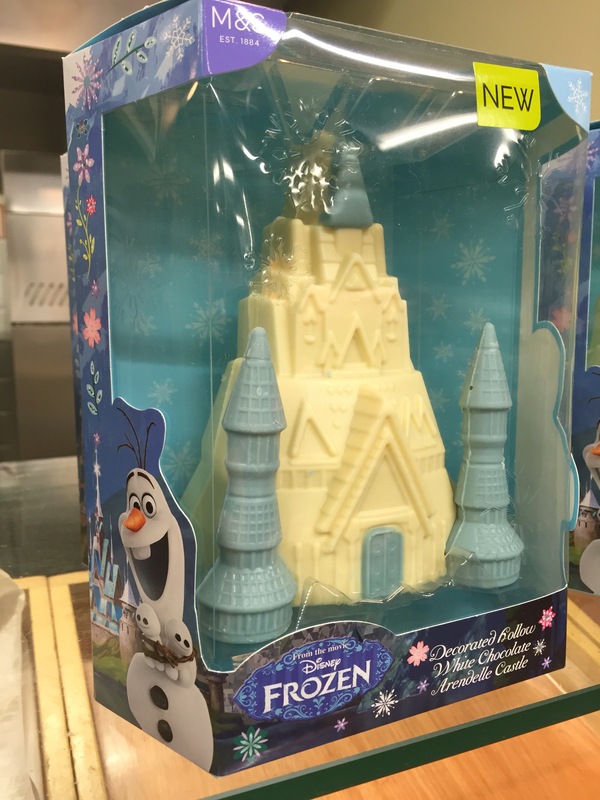 The M&S 220g white decorated chocolate hollow castle is priced at £8.50 and is sure to be delivered to many Frozen fans by the Easter Bunny this year. Minority Euro Disney shareholders taken for a ride. Minority shareholders in the struggling Disneyland Paris resort say they have been taken for a ride. In a cluster of legal disputes playing out in French courts, a group of activist shareholders alleges Walt Disney Co., the majority owner of Paris-listed Euro Disney, has siphoned off excessive royalties while Euro Disney’s assets have been undervalued, in an attempt to drive out minority shareholders. During a restructuring that was concluded in November and that Euro Disney said was designed to, and did, improve its finances, Walt Disney was able to almost double its stake in the firm. The group of hedge funds, led by Paris-based Charity Investment Asset Management’s CIMA fund, says small shareholders weren’t told of the true value of the firm’s assets and the health of its business. Another of CIMA’s complaints centers on incentives given to Euro Disney management, which it says present a potential conflict of interest. While employees are granted stock options in Euro Disney, its management committee was in 2014 granted almost 3 million euros ($3.4 million) in stock options and restricted stock units in Walt Disney — whose shares are up around 240% over the past decade — according to Euro Disney documentation. Euro Disney raised money from outside shareholders when it went public in 1989 and has remained a separate company from Walt Disney, part-owned by and paying royalties to the U.S. firm. Lampooned on cartoon series “The Simpsons” for a lack of visitors and financial woes, Euro Disney has been a disaster for shareholders since flotation in 1989, falling around 99%. Shareholders’ other claims include alleged misuse of Euro Disney’s assets and false accounting. The group is also demanding the repayment of 930 million euros to Euro Disney, in repayment of “exorbitant” and ” abusive” royalties and other fees paid to the U.S. firm. There has been “a siphoning off of money and undervaluation of key assets to enable them to buy off the minorities,” said Guy Wyser-Pratte, a French-born New Yorker and veteran investor who heads U.S. firm Wyser-Pratte Management Co. His firm owns shares in Euro Disney and is helping fund the litigation. CIMA filed a complaint with the French criminal authorities last year against Walt Disney and subsidiaries, alleging misuse of corporate assets, filing false accounts and providing false information. A spokesman for the financial prosecutor said a judicial inquiry had been opened and would be conducted by one or several investigating judges. Acivil case against Walt Disney subsidiaries, demanding the repayment of 930 million euros to Euro Disney, was filed to the Commercial Court of Meaux in October. The Autorite des Marches Financiers, the French financial regulator, last year approved Walt Disney’s offer to purchase Euro Disney shares. CIMA’s appeal was rejected by the Paris Court of Appeal in September. CIMA is now appealing to the French Supreme Court. Issues for the hedge funds, which say they control roughly 3.5% of Euro Disney, came to a head with the highly complex recapitalization, which concluded in November. The plan involved a cash injection of around 420 million euros, made or guaranteed by Walt Disney, and the conversion of 600 million euros of debt held by Walt Disney into Euro Disney shares. Walt Disney then offered to buy out other shareholders, before letting them buy shares. As a result, Walt Disney’s stake in Euro Disney almost doubled, from 40% to 76.7%, announced in November. 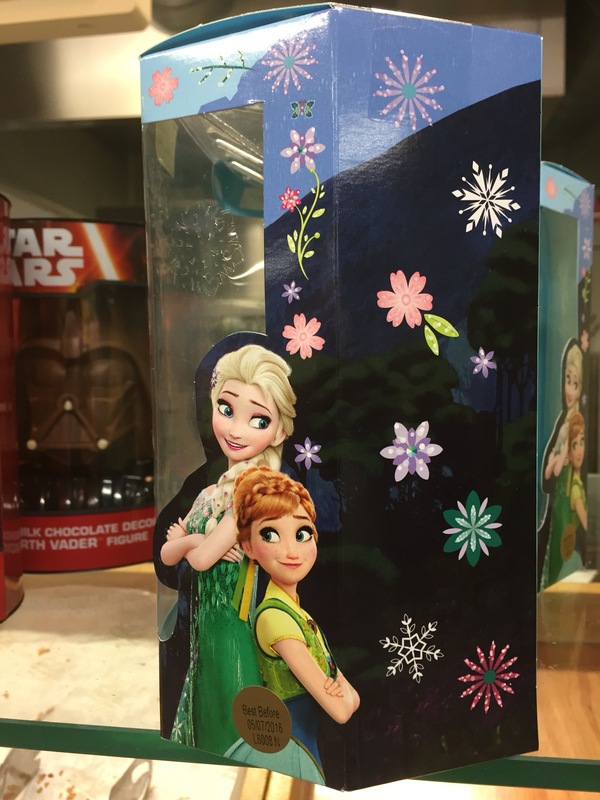 Rather than being a rescue plan, this was an attempt by Walt Disney to buy up more shares, says CIMA. “The intent of the plan was to recapitalize the Euro Disney Group — not to increase” Walt Disney’s stake, said the Euro Disney executive, adding that Walt Disney let other shareholders keep their stakes. CIMA says that during the recapitalization, Euro Disney’s business outlook was too pessimistic. In January of last year, the firm said in a statement it expected annual attendance to fall by around 2.6 million guests and earnings to tumble 45% by 2023. But results were better, say the funds. In November, it reported a 25% increase in earnings on the previous year and visitor numbers up by 600,000. The Euro Disney executive said the business outlook had been drawn up a year and a half ago. The results don’t “change the fact” the recapitalization was “critical” to Euro Disney, he said. Another key battle is the value of approximately 5,510 acres of land near Disneyland Paris, around half of which is yet to be developed. Ledouble, an expert firm appointed by Euro Disney’s supervisory board during the recapitalization, said it concluded Euro Disney’s total assets were worth less than the 1.25 euro-a-share offer price. A report commissioned by CIMA estimates the capital gain from the land rights at 1.9 billion euros. This, plus other gains, means Euro Disney had an asset value above 3.7 euros a share, it says. The shares trade at 1.26 euros. 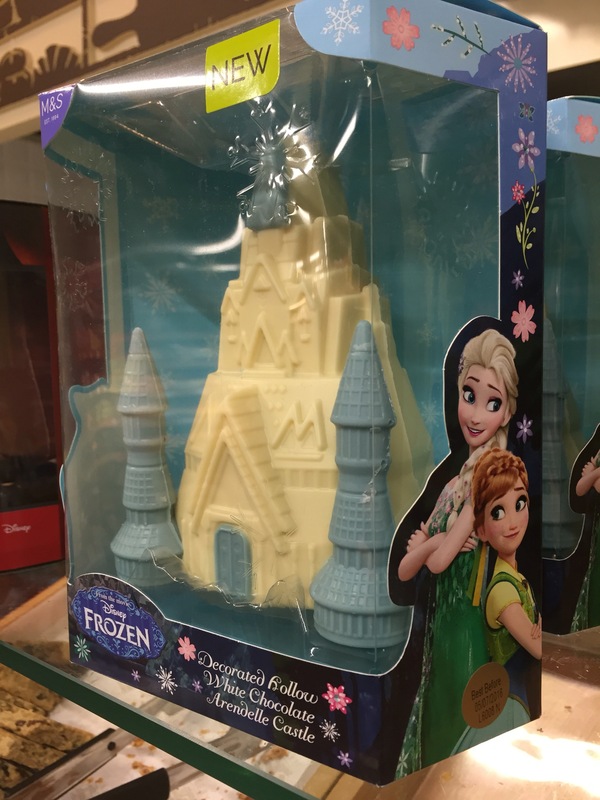 Euro Disney disputes this. “Real estate is a small part of our business,” said the executive, adding that real-estate activities have on average generated a margin of 10 million euros a year. 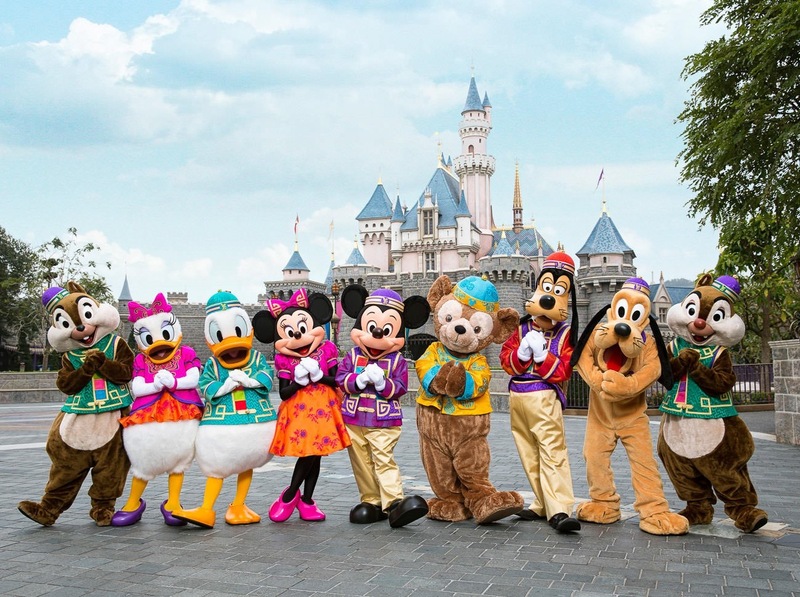 Hong Kong Disneyland reports HK$148 million loss following drop in Chinese visitor numbers. 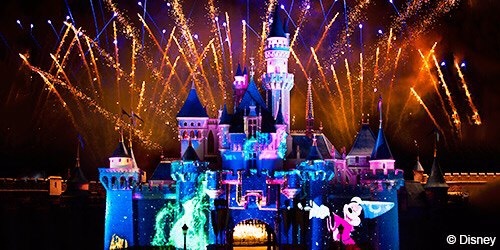 Hong Kong Disneyland, Disney’s first theme park in Greater China, last year lost HK$148 million (£13.24 million / €17.13 million / US$19.1 million) following a drop in Chinese visitor numbers. In 2015 the resort welcomed 6.8 million visitors, compared with 7.5 million in 2014. Revenues in 2015 were $659 million (HK$5.11 billion,) compared with US$705 million (HK$5.47 billion) in 2014. The park said that the figures represented the second-highest annual revenues and third-highest annual attendance in its ten year history. The park also achieved record guest spending, marking six consecutive years of per capita guest spending growth. The biggest problem was a drop in visitor numbers from mainland China and the Asia region, a problem felt by Hong Kong as a whole, which also saw tourist numbers fall. Locals accounted for 39% of total attendance, while mainland and international visitation made up 41% and 20%, respectively. Hotel occupancy was close to 80%. Disney is on course to open its Shanghai Disneyland in June this year, which some analysts see as a threat to Hong Kong. Andrew Kam, MD of Hong Kong Disneyland, however, played down the impact from Shanghai and said that demand for theme parks in Asia is still growing. 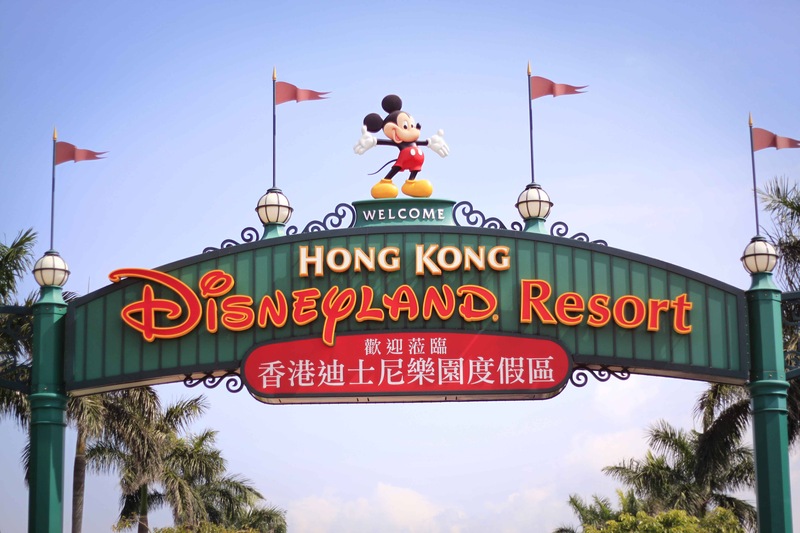 Hong Kong Disneyland is owned by Hongkong International Theme Parks Limited, which is a joint venture between the Hong Kong Special Administrative Region Government and a subsidiary of The Walt Disney Company. As of the end of fiscal 2015, the Hong Kong Special Administrative Region Government owned a 53% majority interest in the joint venture, with The Walt Disney Company owning the remaining 47%.